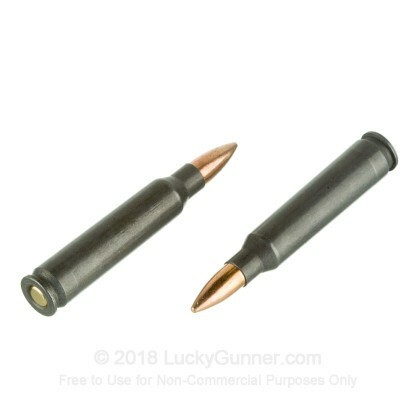 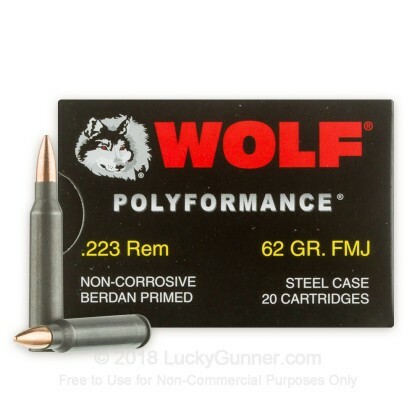 We don't have any reviews yet for this particular .223 Remington ammo from Wolf. 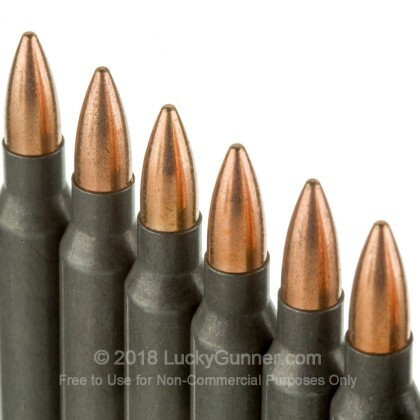 If you'd like to be the first to review this particular .223 Remington ammo from Wolf, fill out the form below. 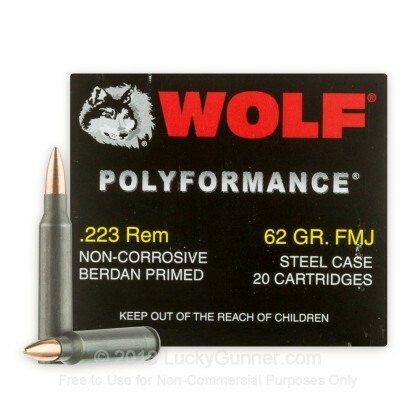 We also have this 223 Rem - 62 gr FMJ - Wolf WPA Polyformance- 500 Rounds ammo in stock in a bigger quantity.